You don’t have to eliminate eating in restaurants to remain on your healthy diet. At Joe’s Crab Shack, dining out is easy since the major food items here are fresh seafood, comparatively less in calories and fats than those found in meats served at other similar restaurant chains. Flavor is what you get at Joe’s Crab Shack if you know how and what to order. From a small shack serving freshly-caught crabs, the place has grown into one of the more popular seafood restaurants nationwide that offers an extensive menu which now includes lobster and shrimp. As far as fast food chains are concerned, some food items may not be as nutritious as they look and Joe’s Crab Shack is no exception. Dieticians and nutritionists, however, recommend some healthy food items from Joe’s Crab Shack that you can enjoy without guilt with your family and friends. These dishes are all under 650 calories which is less than half of the typical 1,500 to 2,000 calories a person needs for a day. The trick is to choose food items from Joe’s Crab Shack with discretion. Take a look at the following. We have to start off with the crabs, of course, not only because these crustaceans are the house specialties from way back when but also because the Dungeness Crab Bucket with sides but no butter has only 480 calories. Yes, you have to burn the 480 just the same – walking, swimming, cycling or jogging would be the best activities – but on the plus side, this has lean protein. Alongside new potatoes, the bucket includes fresh corn-on-the-cob with the seasoning of your choice. Just skip the butter on the corn and the only total fat you eat will be 3.5 grams. The Main lobster and Alaskan crab are both protein-rich, low fat and have fewer calories than red meat. Nutrition studies have shown that a 3½ ounce serving of lobster meat sans butter has only 90 calories. 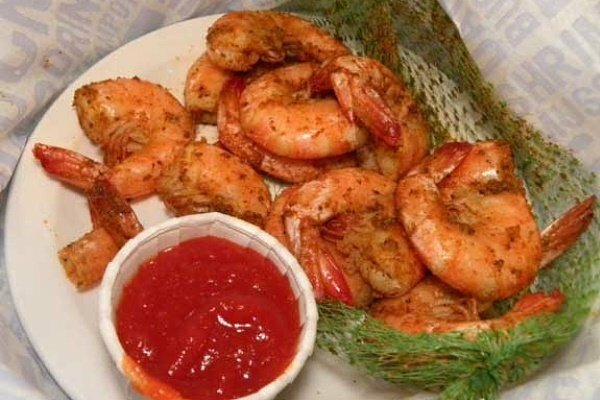 Grilled shrimp with Cajun spice is low both in calories and saturated fat. A scoop of that on pasta with marinara or puttanesca still registers lower on the fat scale and all those tomatoes in either sauce have comparatively more antioxidants and vitamin C than apples. For poultry eaters, the Chipotle Chicken Caesar Salad has only 490 calories with the vegetables served in 3¼ cups that can help fill you up. Kid’s Simply Grilled Shrimp packs only 420 calories with six fresh shrimp grilled to perfection served over a bed of steamed rice accompanied with a half ear of corn-on-the-cob and a glass of orange juice. Just ask your server to ditch the salt seasoning. Kid’s Snow Crab is just 400 calories from a cluster serving of fresh Snow Crabs, half an ear of fresh corn-on-the-cob, steamed rice and a glass of apple juice. For healthier options, ask your server to serve the corn without the butter. Joe’s Pasta-laya: it may read as Andouille sausage, onions, mushrooms, tomatoes, bell peppers, and shrimp on the menu on penne pasta but because everything is sautéed in butter, this dish has 14 grams of trans fat, a figure that has been considered by the American Heart Association (AHA) to be the maximum intake of an individual for one week. Redfish Pontchartrain: again, the trans fat content, and in this dish, it’s all of 16 grams. Yes, it is fish, and yes, serving it with vegetables and rice does sound healthy, but the cream in the mushroom sauce ironically makes this dish a very unhealthy one, even when the fish is in the starring role. Crab Cake Dinner: the trans fat you get from this meal is worth a week, we kid you not. These deep-fried crab cakes may taste utterly delicious with the accompanying remoulade sauce of spicy Sriracha but with the inclusion of French fries, this is one meal that comes with regret. Steampots: steamed food is healthy but not for these babies. Shrimp, mussels, crawfish, and clams served with new potatoes and corn-on-the-cob are healthy per se but with all that dipping in butter – which isn’t even real butter but a close facsimile of it – the 25 grams of trans fat in each is a deal breaker.